Allowing air flow into the radiator and engine compartment of your Jeep need not be an ugly process. 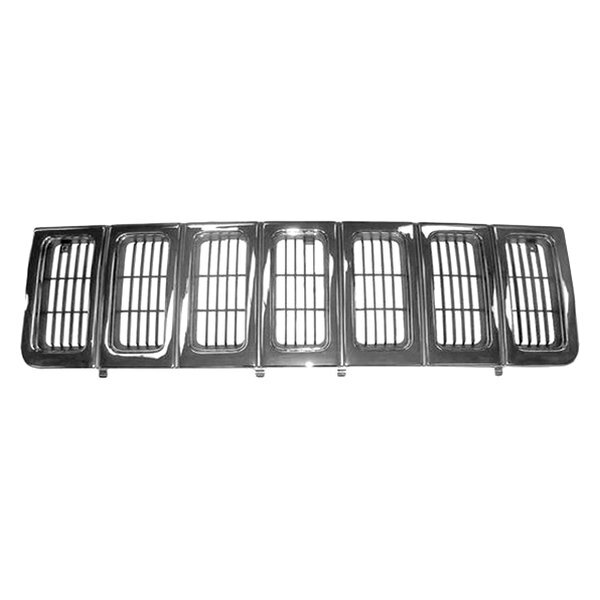 Your Jeep's grill is vulnerable to road hazards like salt, debris and front-end collision damage. If you need a new chrome grill for your 1998 Jeep Grand Cherokee, JustforJeeps.com carries Mopar Chrome Grill #55055059. JustforJeeps.com is an authentic Mopar dealer and will strive to provide friendly, knowledgeable service every time. Contact JustforJeeps.com at 888-651-JEEP (5337).